Form Description: While it is all well and good to keep track of the exercises you are doing, it is also important to keep track of what type of food you eat. This Food and Exercise Log will allow you to keep track of both. Simply write down what you eat, when you eat it, and also write down any exercises you are currently undertaking. Definitely a huge help if you are serious about getting your health or weight under control. 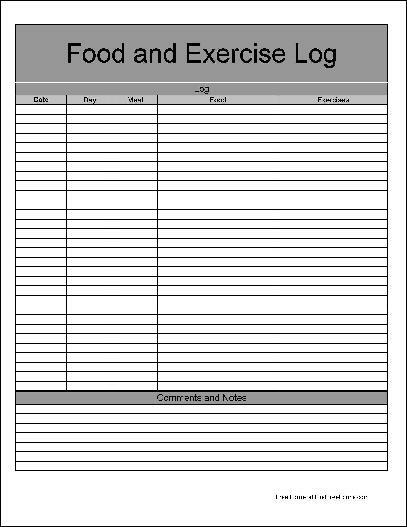 This form ("Basic Food and Exercise Log") is associated with the following keywords: exercise, food, log, tracking, nutrition, calorie, intake, exertion, cardio, endurance, weights, basic.